This hat and mitten set is quick and fun to knit! Find a fun novelty yarn to work into the cuffs of both the hat and mittens--the more textured, the better!. 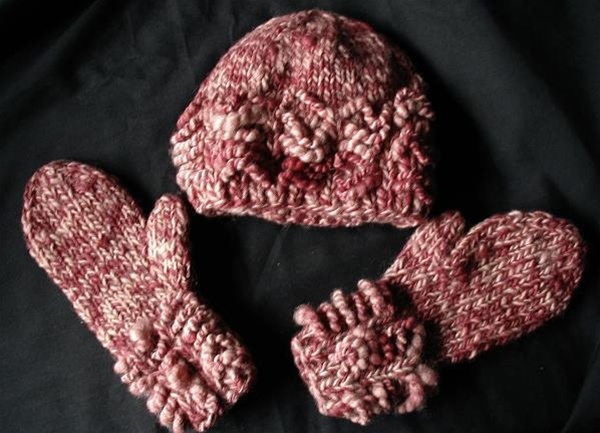 Because the main part of the hat and mittens is knitted with two worsted weight yarns held together as one, you can achieve a mottled effect and your results will be extra warm and cozy. Three sizes: Child, Adult Medium and Adult Large.